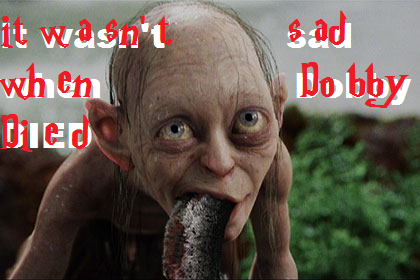 Wasn't it sad when Dobby died?. Troll Post. Wallpaper and background images in the harry potter contra crepúsculo club tagged: harry potter dobby death troll post.